This course provides a detailed discussion on the demographics of aging including minority groups and a thorough discussion of the theories and physiology of aging and genetics of longevity. Body system changes with aging, with specific focus on all body organs. 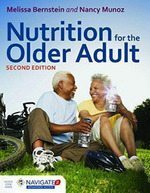 Macronutrients, fluid balance, alcohol, vitamins and minerals and their function and utilization in the older adult. Health promotion and disease prevention with focus on agencies, cultural diversity, and physical activity. 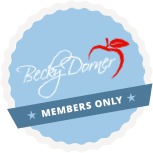 Clinical focus on the nutritional assessment process including screening, anthropometry, biochemical data, clinical assessment, dietary assessment, and the various tools needed to adequately complete the assessment process. Diseases and conditions in the older adult including assessment and treatment recommendations including gastrointestinal disorders, cardiovascular, and respiratory disease, renal and genitourinary disease, and endocrine and metabolic conditions. Pharmacology for the older adult including medication uses, classes of medications, and conditions impacting the effectiveness of medications in the older adult. Nutrition support, decision making in choosing support methods, and end of life nutrition. Understand the demographics of the aging population and identify the specific nutritional concerns for each cultural group. Understand physiology of aging as it relates to changes in body systems during the aging process. Identify the specific macronutrient, vitamin, and mineral needs of the older adult. Identify the services available to meet the needs of the older adult and the aging population. Understand nutrition screening and nutrition assessment protocols used for the aging population. Describe how diseases and medical conditions impact the older adult. Identify medication effects and interactions as they relate to nutrition for the older adult. Evaluate and choose nutrition support methods as appropriate. 8.1.1 Interprets and applies evidence based comparative standards for determining nutritional needs. 8.1.5 Applies medical nutrition therapy in disease prevention and management. 10.2.4 Integrates foundational dietetics knowledge with critical appraisal of assessment data to diagnose nutrition problems (using problem solving, etiology, signs and symptoms (PES) statements) which can be resolved or improved through treatment or nutrition intervention.